MC&I designed, manufactured and installed the RIDGLOK® Vertical Standing Seam Panel Insulation System on a Flat Bolted Storage Tank located in Lansing, MI at Michigan State University. The storage tank was a 53.22 x 26.75 high flat bolted tank with a membrane roof. The insulation project was completed on July 12, 2013. 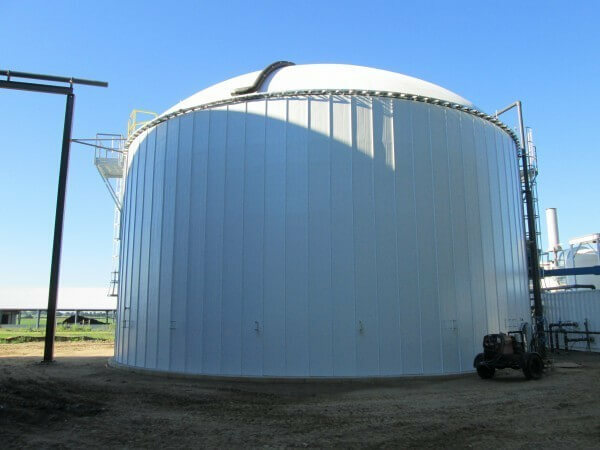 The storage tank was utilized as an anaerobic digester at an agriculture research facility. The RIDGLOK® Vertical Standing Seam Insulated Panel System consisted of 0.024 stucco-embossed aluminum metal jacketing, in White color, laminated to 2” polyisocyanurate insulation board. (R-value of 13.1). 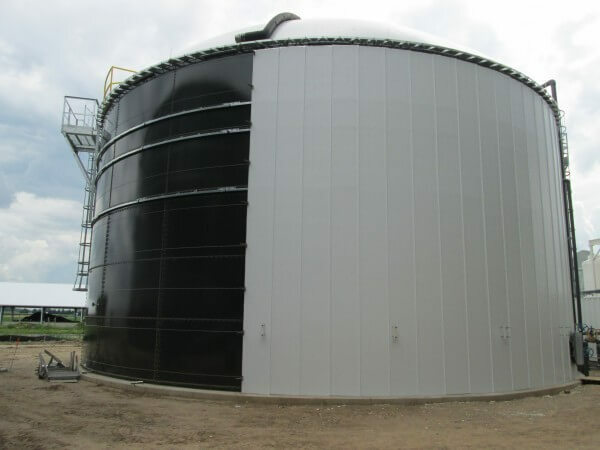 Anaerobic digesters are specially designed, insulated storage tanks that are used to facilitate the anaerobic digestion process under a controlled atmosphere. This is to achieve maximum biogas production in a short period of time. Organic Waste from the facility is collected and stored in an air tight heated digester storage tank. Bacteria begins the decomposition process to turn waste into biogas, which is combusted to generate electricity, heat, renewable natural gas or transportation fuels. 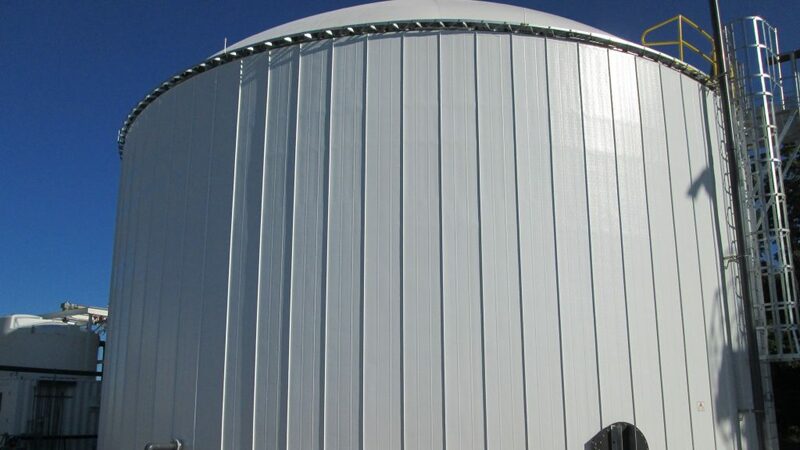 RIDGLOK® Vertical Standing Seam Thermal Insulation is necessary to MAINTAIN the operating temperature for the anaerobic digestion process to occur.